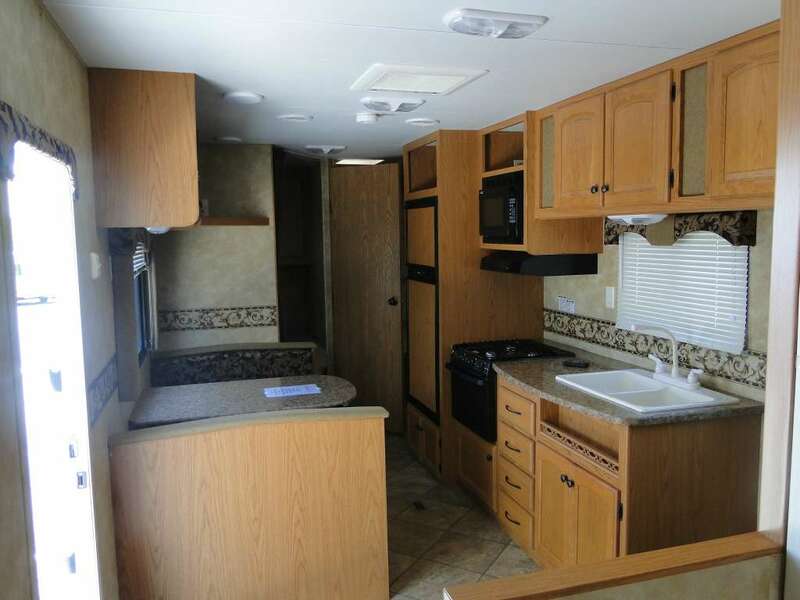 This towable sleeps 9 people, is 2.17 feet long, and is a Travel Trailer. Life by the Horns Camper Rentals, a family run business since 2010. See our reviews online. Unlike dealing with individuals you never need to worry about your rental being cancelled or unavailable at the last minute. We have 6 like new rental units. 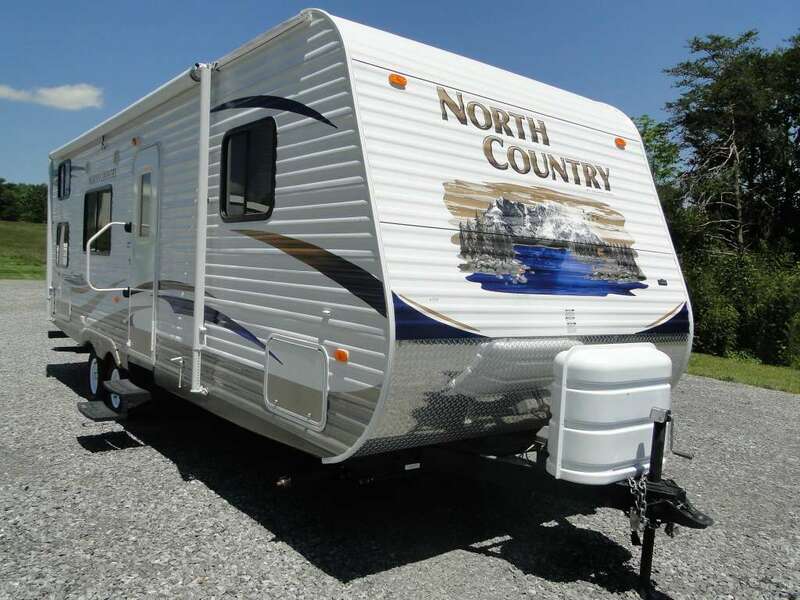 The North Country is our premium edition travel trailer that can be towed by a half-ton pickup or larger. It is in like new condition. It has a walk around queen front bedroom with 5 star rated mattress, couch, dinette, full kitchen and bathroom, rear full size bottom bunk and top twin. 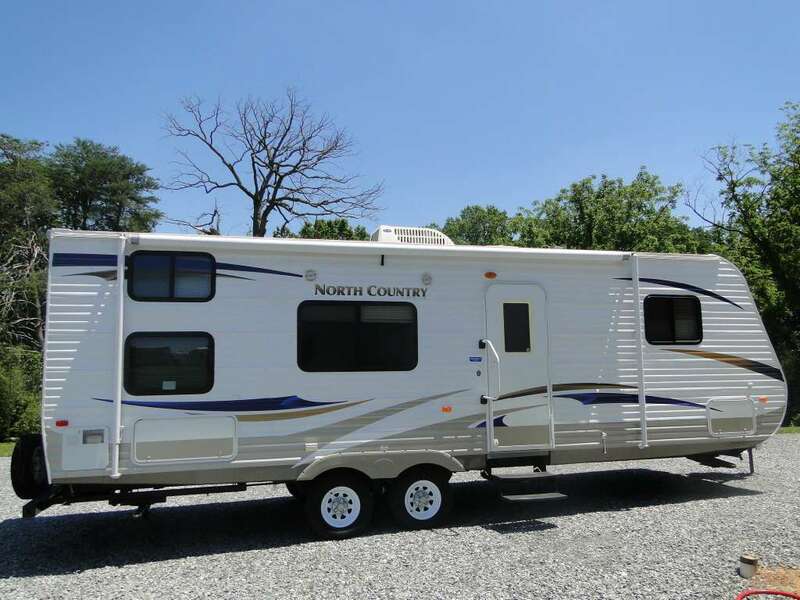 It has a sleeping capacity of 9, and is equipped like your home away from home with duct heating and air conditioning and real Amish-crafted hardwood cabinet doors and premium mattresses. We can even provide delivery to Jordan Lake for additional fee, call for details. Hours Mon-Sat 9am-6pm, Sunday drop offs by appointment. INSURED thru same MBA Insurance as RvShare promotes - no extra fees as it's included in our prices. Because we are a company we carry our own policy with exact same coverage and limits as RvShare. Renter is responsible for same deductible. We are conveniently located to Raleigh-Cary, just outside Apex near Moncure right off US 1.